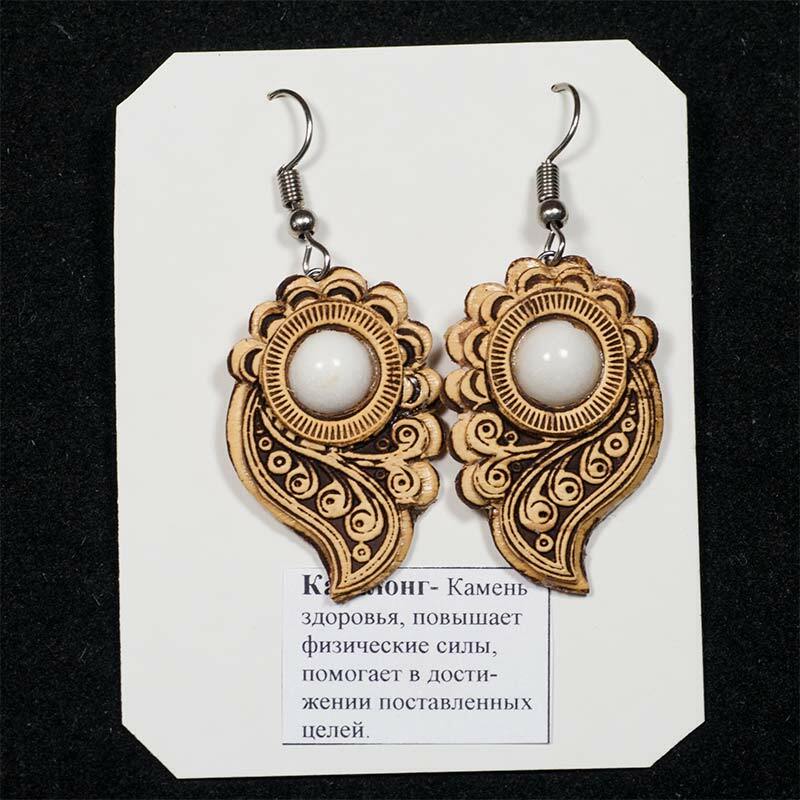 Birch Bark Earrings with Cacholong are made by skilled Siberian craftsmen of birch bark with its specific natural texture. 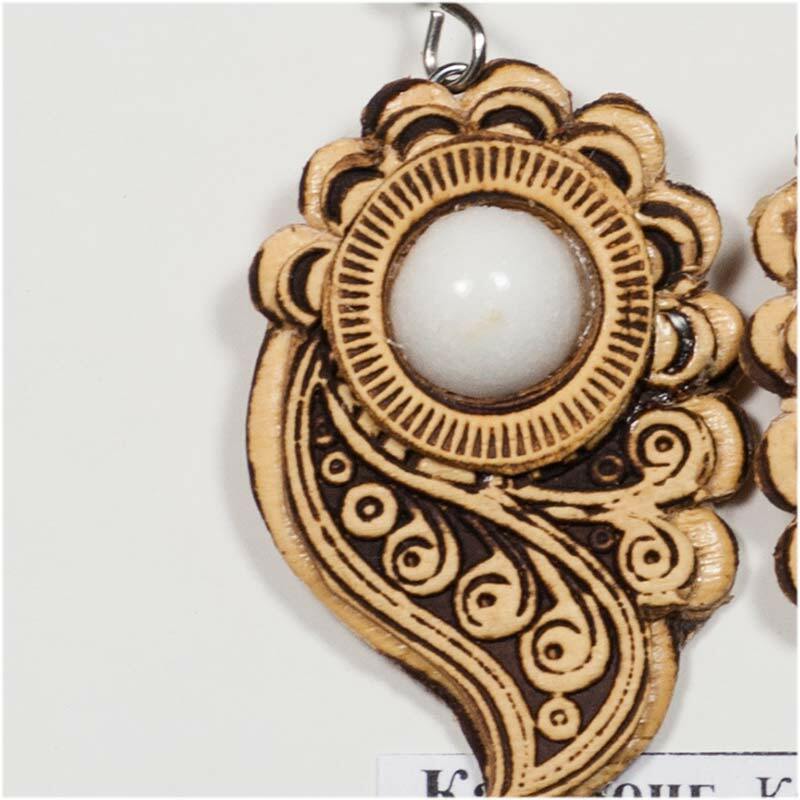 The surface of of the earrings are decorated with carved and embossed ornament and with inlays with artificial Cacholong. This pair of earringsr can be wonderful gift for your dear girl and woman.